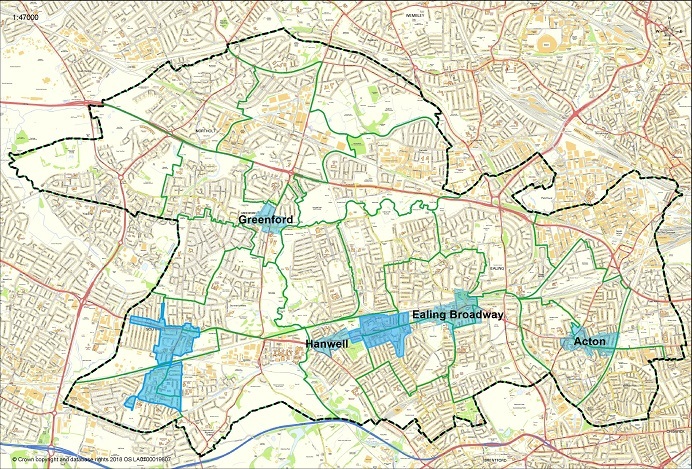 Published Monday 15 April 2019 An Ealing-wide Public Spaces Protection Order (PSPO) is being proposed, to improve the quality of life for residents and visitors. As part of this, the council welcomes the views of the public. The proposed PSPO is designed to address a number of persistent issues that are reported to the council, police and other services. The council know from what is reported that different types of problems affect different areas, and that’s why the proposed order has varying conditions for these different types of public spaces across the borough. Four PSPOs are currently operating in Ealing including Mattock Lane and Southall parks. These have all been implemented for different purposes to deal with local anti-social behaviour. The majority of people use Ealing’s public spaces positively and considerately, but there are behaviours which have a negative impact on them and the environment. It is essential that public spaces are to be enjoyed by all and to feel safe. A PSPO gives the police and the council an additional means to tackle specified behaviours that are persistent and unacceptable and is used alongside existing powers and ongoing partnership work with other agencies and the community. Behaviours which are carried out in a public space and have a detrimental impact of the quality of life may include, but is not limited to, street drinking, fly-tipping, littering, verbal abuse, obstructing the highway, illegal drug use, urinating or spitting. If the PSPO is implemented, it will be enforced by police and council officers. The penalty for breaking a PSPO is a fine of £100. If the fine is not paid, court proceedings may be started which will increase the fine to up to £1,000. Leading up to this consultation, the council’s safer communities team has undertaken a wide detail of research and have spoken with a number of stakeholder and community groups. Ealing council director of safer communities, Mark Wiltshire, said: “Our research has shown that local people would welcome the idea of more enforcement action being taken against those committing anti-social behaviour. This consultation will be crucial in shaping and informing decision making after the eight-week consultation concludes. Residents and visitors’ knowledge is essential to help the council build a complete picture of local issues, their impact and whether the proposals can help address these. The consultation is open from Monday, 15 April 2019 and will take approximately 20 minutes to complete. If you’re unable to complete online, paper copies of the consultation are available at the customer service centre at Perceval House, 14-16 Uxbridge Rd, London W5 2HL. If you would like to know more and share your views about the proposed borough wide PSPO, please do so via www.ealing.gov.uk/consultations. This consultation will be live until Sunday, 9 June 2019. Officers will then collate all feedback and carefully consider the results before making a decision. If the consultation results are in favour of the PSPO, the order will come into force in Autumn 2019 and will run until 2022. The Council has the option to vary or discontinue the order if the behaviours stop or change. If you have any further queries or feedback about the proposed PSPO, please email SaferCommunities@ealing.gov.uk.